This weekend will mark the start of The FA Girls’ Football week, which will run from 16th July until 6th August 2017. The event coincides with the UEFA Women’s Euros which also kicks off on the same day. Making this the ideal time for females to get involved with the beautiful game that is football! FA Girls’ Football Week is a national campaign and a celebration aimed at raising the profile of female football. 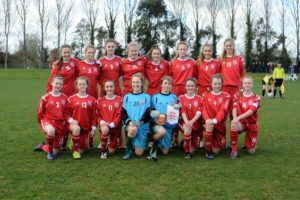 It encourages educational institutions, community groups and other organisations to deliver more football sessions for females in safe and fun environments. The event is a great opportunity to showcase talent and inspire new players and volunteers. Since it’s launched in 2014 the scheme has gained momentum and has been growing each year, with only 2000 participants in its first year compared to a total of 130,000 participants in 2016’s event. Again this figure is expected to increase for this year’s Euros celebration, and with your support, the campaign wishes to double the number of females playing football by 2020. So make sure you get involved! If you are part of an organisation you can register an on-going activity as part of the week here. This can be something as simple as registering your weekly training session, or maybe you could even start something brand new to kick-start girls’ football. If you are an individual wishing to take part, you can search for your nearest FA Girls’ Football Week Euro Celebration Session here. Activities can include playing, training or even just learning more about the beautiful game. 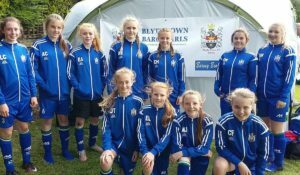 But your support and involvement doesn’t have to stop at Girls’ Football Week, there’s plenty of opportunities for you to get involved through the year. For lots other exciting ways to get involved visit The FA Get Involved page, it’s packed with ideas and resources. Alongside the tournament, UEFA have also built an ongoing campaign called ‘Together #weplaystrong’ Within the next five years UEFA aim to make football the leading women’s sport across Europe, and with their campaign, they focus on showcasing the best of the game; skill, teamwork and positive attitude. Here at Pendle, we have been supplying football kits, training wear and equipment to Football Teams for 40 years. It has been an honour to have seen an increase in our female teams over the recent years and we are very proud of the growing movement and recognition for woman and girls within football. It’s an exciting time for girls’ and women’s football alike, so we hope that you can get involved in whichever way you can and let’s all work towards a greater involvement of females within football!